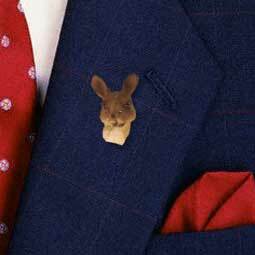 Using our Tiny Ones, specie specific, hand painted detailed heads; we carefully mount a gold plated post and backing so you can display your best friend as a unique pin or tie tack. What a perfect gift for any occasion, including birthdays and holidays. All items are individually packaged, ready to give as a gift, or hang in your store. Great item for that special someone!